Outdoor adventures is our specialty. We work hard to provide our guests with a comfortable and appealing atmosphere. Our job is to make sure our guests leave here with innumerable memories and a plan to return again. 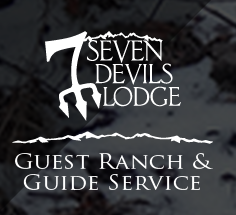 Come visit Seven Devils Lodge, the best kept secret in the northwest!